Rival Sons recently finished recording their latest album in Nashville and did so this time with a new bassist, Dave Beste. 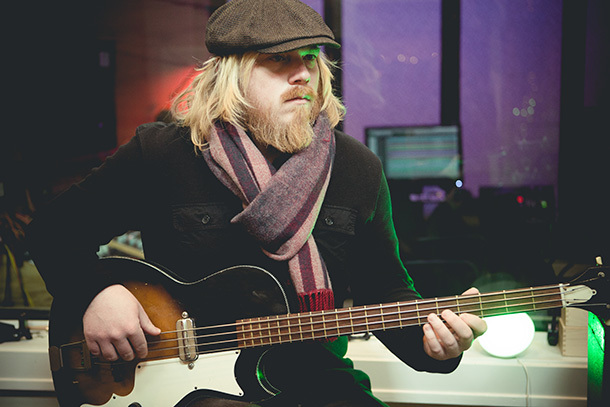 As an introduction to the new Rival Sons bassist, Beste shared with us his top 10 favorite songs. Possibly the most haunting and dark love song of all time. Great example of a fantastic rock song that breaks into the pop side of things just enough to be accessible to all. Can’t beat that bizarre guitar solo. Another somewhat unknown and amazing band (Unfortunately no longer together). This song is the best example of the insane energy they managed nightly. Still the best live rock band I’ve ever seen. The Dibs were a great band from Long Beach, terribly underrated and unrecognized. Chris Hanlin is one of my favorite song writers. This song turned me into the amazing rapper I am today. This song still makes me want to smoke a joint and hit on hippie girls when I hear it. I know that doesn’t make sense to anybody else but that’s what it means to me. Another musical game changer for me. If you want to learn about pocket just listen to Stevie. Classic Aretha, groovy as hell, at 13 changed my life and perspective of what music should be. This is the song that made me choose bass as an instrument. It became clear how important and influential the instrument is to making a good song, good. Great bunch of songs! A nice way to get to know a little about a person. Welcome Dave and I absolutely can’t wait to hear the new Rival Sons release!! thank You Beste, for sharing all of this music. Dave, what a great way to introduce yourself! Can’t wait for the new Rival Sons album on record and, of course, live! Wow!!! great list. But I think in other bands like Led Zeppelin.